1-year Power plan from SmugMug ($72 value). For new accounts only. Additional information on the Luminar 2018 software can be found here. 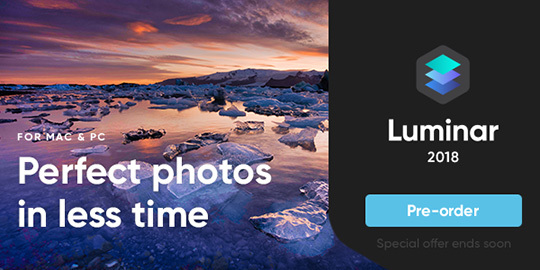 This entry was posted in Deals and tagged Luminar. Bookmark the permalink. Trackbacks are closed, but you can post a comment.